License file for the Ranet Analytics demo can receive from our website GetLicense. The license file (license.bi) will be generated on the basis of the provided information and will be send by e-mail. Just put it in Web Application directory and restart IIS (iisreset). After installing Ranet Analytics, before running the application, you must manually add Domain Users to the group Administrators. 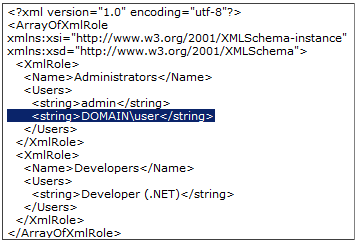 In the role of the Administrators group, add the appropriate Domain User in the format as shown in the highlighted text in the image below.